Intense ruby red in color. Rich spicy black pepper on the nose with a hint of raisins. Full-bodied and well-balanced on the palate with hints os spices and sweet cherry flavors. Pairs well with white and red meats, game, and fresh and aged cheeses. 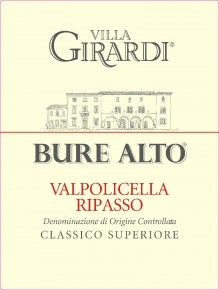 Ripasso is the unique result of re-fermenting Valpolicella Classico on the warm dried grape skins from which Amarone has been pressed. 18 months in Slavonian oak barrels (65 hl in size), then 6 months in bottle.